Rauma Marine Constructions understands the traditions of Finnish maritime craftsmanship. Founded in the summer of 2014, the company continues and further develops the strong shipbuilding tradition in Finland. RMC is specialised in the construction of multi-purpose icebreakers, car and passenger ferries, and naval combat vessels for the Finnish Defence Forces. 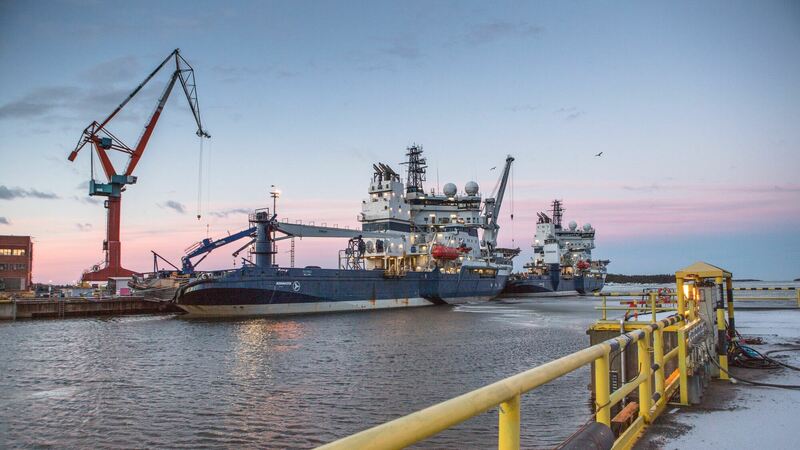 Service vessels for the offshore industry are also part of the shipyard’s product portfolio. The company’s expertise in Arctic conditions supports its competitiveness in the market segment for ice-going vessels. Rauma Shipyard has seen many car and passenger ferries throughout the years. A total of 30 ferries and ro-ro ships have been constructed, including vessels to Tallink-Silja and the UK-based P&O Ferries. The ageing of the European car ferry fleet and tightening environmental regulations will require the construction of new vessels within the next 10 to 15 years. The car and passenger ferry segment holds the greatest market potential for RMC. In the summer of 2018, Rauma Marine Constructions completed construction of its first newbuilding vessel, a 158-metre-long and 23.5-metre-wide car and passenger ferry for the Danish shipping company Molslinjen. 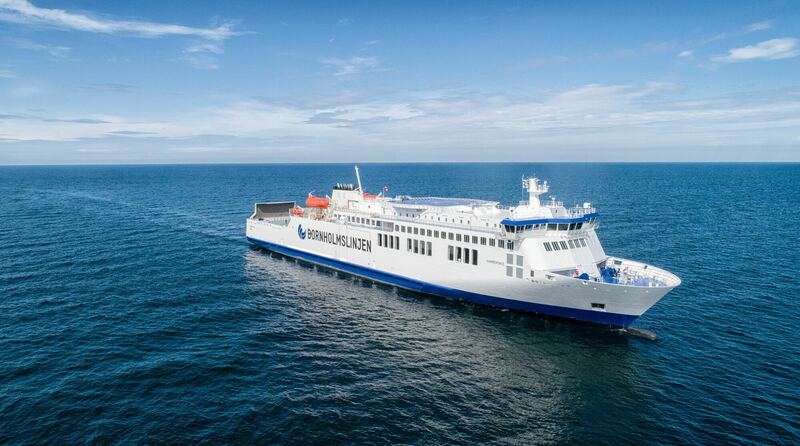 The ferry, named Hammershus, has a passenger capacity of 720 and operates between Danish islands, as well as on the Rønne-Sassnitz route between Bornholm and Germany for part of the year. The car and passenger ferry can travel up to 17.7 knots. It runs on sulphur-free fuel and consumes less fuel compared to previous vessels. This was made possible by the fuel-efficient Wärtsilä main engines, as well as the shape of the hull. In addition, the vessel complies with all current and upcoming environmental regulations. Over 250 workers were involved in the construction process of the ferry. Its impact on employment totalled around 1,000 person-years. The Finnish marine industry is specialised in Arctic seafaring and in shipbuilding that meets the needs of these extreme conditions. Finland stands a formidable chance of developing into the leading global cluster of the Arctic marine industry, as this is one of the key areas of expertise of the Finnish shipbuilding industry. Finland is the only country in the world where the Arctic marine industry is vertically integrated for all operations and services, and where the entire value chain is managed locally. This value chain consists of four activities: operations, construction and maintenance, research and development, and training. 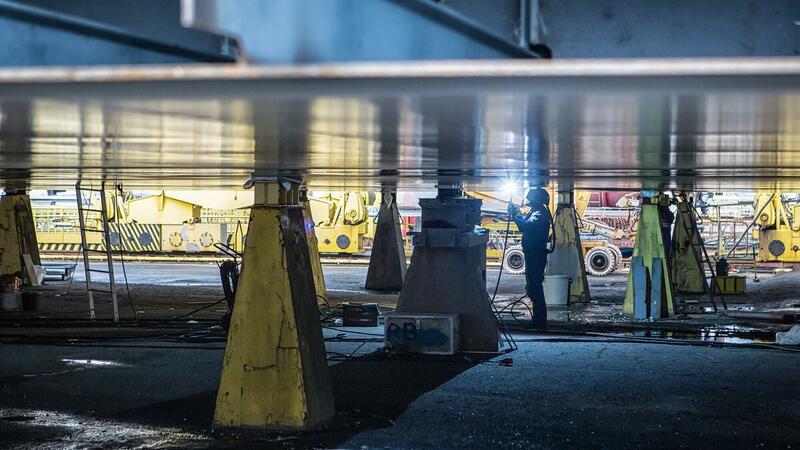 Construction and maintenance form an area of responsibility with requirements that Rauma Marine Constructions meets the best of Finnish companies. Rauma Marine Constructions represents world-leading expertise in Arctic shipbuilding, an area heavily relied upon by the know-how and competitiveness of the Finnish marine industry. The company designs, constructs and maintains ice-going vessels, based on its long experience and professionalism. RMC is a crucial part of the growing Finnish Arctic marine cluster, and its operations are not in competition with other domestic shipyards. Without the input of the Rauma-based marine industry, vessels of a certain size class and segment will disappear from the range of Finnish products. Over the years, a significant portion of Finnish governmental vessels have been built and serviced at Rauma shipyard. The list includes all multi-purpose icebreakers and large patrol vessels. All large Finnish Navy combat vessels commissioned since 1990 have also been constructed at Rauma. In October 2018, Rauma Marine Constructions and the Finnish Defence Forces Logistics Command signed a letter of intent for the construction of four Squadron 2020 corvettes in Rauma. The letter of intent outlined the price of the vessels, the timetable for the delivery, allocation of responsibilities and issues concerning risk management, amongst other things. In 2017, Rauma Marine Constructions received authorization from the Finnish Defence Forces Logistics Command to execute a significant share of the basic design of the multi-function corvettes. The rest of the design will be implemented after the vessels’ main equipment has been tendered and selected. The contract for the construction of the vessels will be signed in 2019. Several research vessels have been built at Rauma Shipyard, including the South Savo regional environmental centre vessel known as Muikku. The fisheries research vessel RV Mirabilis of the Namibian Ministry of Fisheries and Marine Resources is also designed by the shipyard. 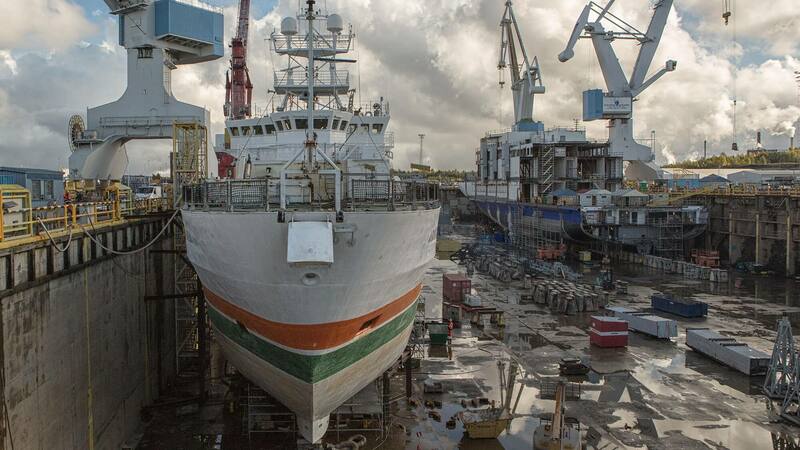 The nearly-30-year-old research vessel Aranda, owned by the Finnish Environment Institute (SYKE), underwent a general overhaul at the RMC shipyard in Rauma between 2017 and 2018. During the overhaul, a brand new block was added in the central section of the vessel. In addition, the vessel’s aft and afterdeck were also redesigned. The vessel was extended by 7 m in total. In addition, the overhauled vessel is more environmentally friendly since it is able to run on biodiesel fuel all year round and make short trips with just battery power. 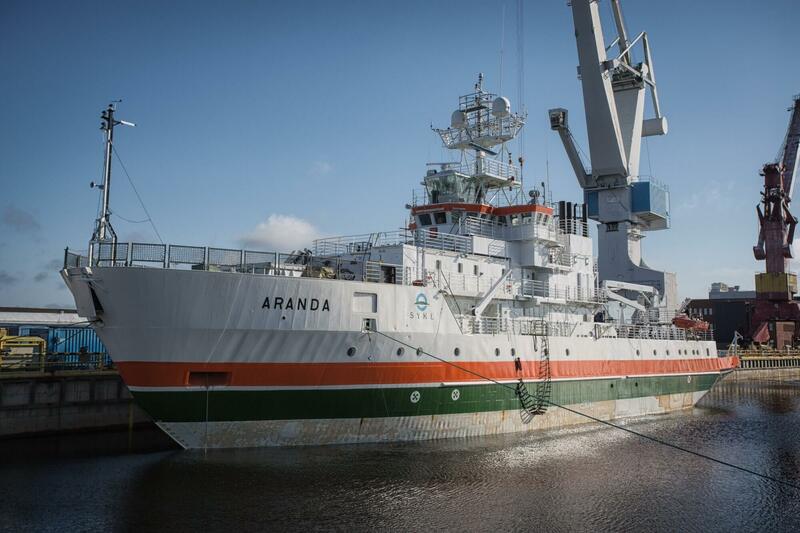 Aranda is the first vessel in Finland to utilise this new battery technology. Demand for research and service vessels that are specifically designed to operate in Arctic conditions is expected to increase in the future. RMC is able to meet this growing demand. 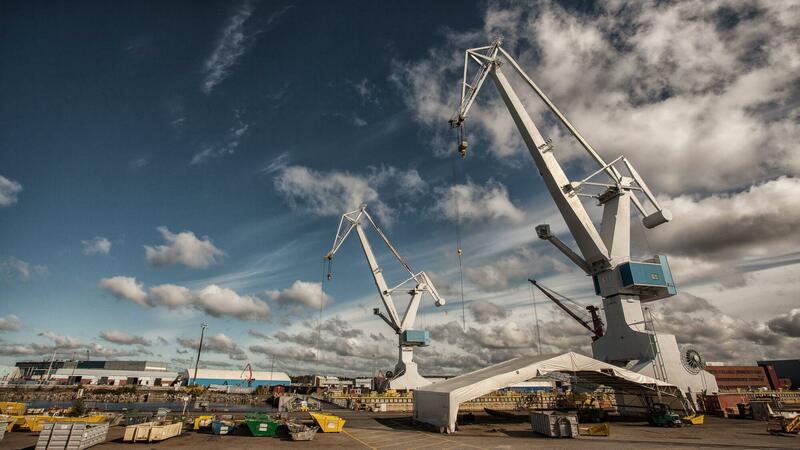 The Rauma Marine Constructions portfolio also includes a range of steel structures. For example, the steel platforms of the artificial island and floating villas supplied to the United Arab Emirates by the Turku-based company Admares are built at Rauma Shipyard. The latest of the villas were delivered to Dubai in the autumn of 2017. RMC has also carried out deck superstructure steelwork for the Canadian Navy as a subcontractor of Almaco Group. In 2016, a deck superstructure was delivered to the Canadian shipbuilder Davie. The seven-story accommodation structure was incorporated into an old container ship. RMC provides steelworks for all waterborne structures, such as power plants and floating recreation facilities. Rauma Marine Constructions estimates that the market for floating real estate may experience particularly significant development due to the global shortage of living space caused by population growth and urbanisation.